University of Virginia President Jim Ryan is running in honor of educators including The New E3 School’s Mrs. Emily. 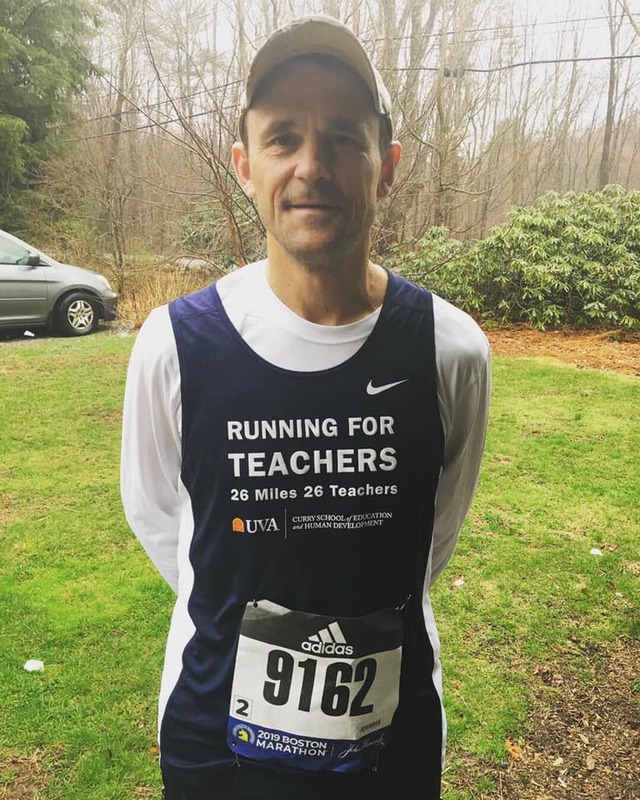 Today marks the 121st annual Boston Marathon, and Ryan will be continuing a tradition he started as dean of the Harvard Graduate School of Education, dedicating his run to beloved educators. Ryan will hit the pavement today with the names of 26 teachers – one for each mile – adorning the back of his T-shirt. Each of the 26 names was submitted by a donor to UVA’s Curry School of Education and Human Development. Along with a donation, donors had the opportunity to name an educator who made a difference in their lives. Ryan will be running mile 3 in honor of The New E3 School’s own Emily Porter. Posted on April 15, 2019 by Devan Maloney and tagged bostonmarathon uvapresident jimryan uvacurry uvacastl newe3school.